If you’re already a member of our WCE Social Room then you will have noticed that the last few reading and writing classes have been focused on forms of narrative writing. 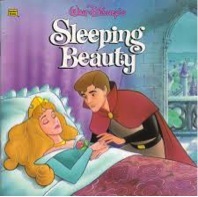 Just last week, we looked at fairytales and read the Disney classic, Sleeping Beauty. You will probably have also noted that we’ve had a few screenings of Disney Films on Friday’s and it’s not because we’re huge fans of Disney (although it could be a bit of that too!). Fairy tales have been around for an exceptionally long time and unsurprisingly make up a lot of our childhood. These stories teach children a number of things such as distinguishing between good and bad and right from wrong. Hence why these tales are considered as an important part of a child’s psychological development. But what does this have to do with the development of a language learner? Well, it actually has a lot to do with language development and cultural acquisition since fairy tales exist in countries all over the world in all languages. Given the fact most of us grow up with these fairy tales either by reading the Grimm Brothers or the Disney adaptations in our native tongue, having these same tales in a different language can be used to a keen language learner’s advantage. Nonetheless, not all language learners like using these free but great resources and this is simply because some language learners find it difficult to admit they don’t know everything in a language and probably want something more ‘age appropriate’ as opposed to reading and watching fairy tales. In fact, the idea of children being better language learners than adults is becoming more of a myth nowadays, as no research has backed this theory up. However, adults should perhaps learn from the way children learn or at least try to remember back to how they learned as a child. Adults have more inhibitions than children and the lack of these is what makes children fantastic learners. Children are far less self-conscious and aren’t afraid of making mistakes. If adults are serious about learning a language then they should let go of any inhibitions that may be holding them back. As a polyglot, I can firmly say that I had moments of when I feared people would not understand me and therefore, hid away from talking in the language. This most notably happened while in China – I was extremely embarrassed to speak Chinese and constantly worried about how people wouldn’t understand me. There were two people who eventually dragged me out of my shell and they were both Chinese. One of them being my speaking tutor who questioned me after class about why I hid behind my textbook and became so flustered. I told her I was afraid and she told me that I shouldn’t be because I was absolutely fine when I spoke. That and some other things made me let go of my inhibitions and I felt free. I was there to learn after all. 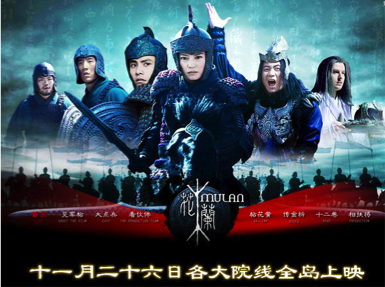 I took advantage of watching quite a few Disney films in Chinese and still like re-watching them from time to time because being able to understand the entirety of a film does a great deal to your confidence in the language. The more you watch, the more you will get used to the sounds of the spoken language, which are produced by various native actors. Once you’re confident with the sounds and voices you can move onto more complex films where actors usually speak faster. Disney films or cartoons are fantastic resources because the speech is slow and clear, which enables language learners to practise their listening skills as well as improve their pronunciation. The benefits of reading fairy tales or comics lie in the simple sentence and grammatical structures employed throughout the story. Other than language, these tales have a fixed straightforward structure so it makes it easier to understand. In addition, having prior knowledge of the story before reading it in your non-native tongue will help you to understand the new linguistic structure. It may be extremely embarrassing to think of going into a library and picking out children’s books because of what others may think but it’s nothing to do with anyone else. Many people don’t recognise the importance of reading, be it in their native tongue or second language but there are too many benefits to simply ignore. One of the many things that reading does is stimulate your cognitive ability and it also gives way to creativity as well as expanding your vocabulary among many other things. Try reading a fairy tale and then writing one – you’ll see that it’ll probably be quite good. After all, creativity and playfulness is another characteristic that children possess that make their learning much more effective. Mastering a language is about having creativity and being playful with words as well as being completely fearless of making any mistakes. Remember mistakes are a part of learning and people shouldn’t be embarrassed of making them. And as said quite rightly by C.S Lewis “Some day you will be old enough to read fairy tales again” – so let go of what’s holding you back! By worldchoiceeducation in Uncategorized on August 20, 2015 .